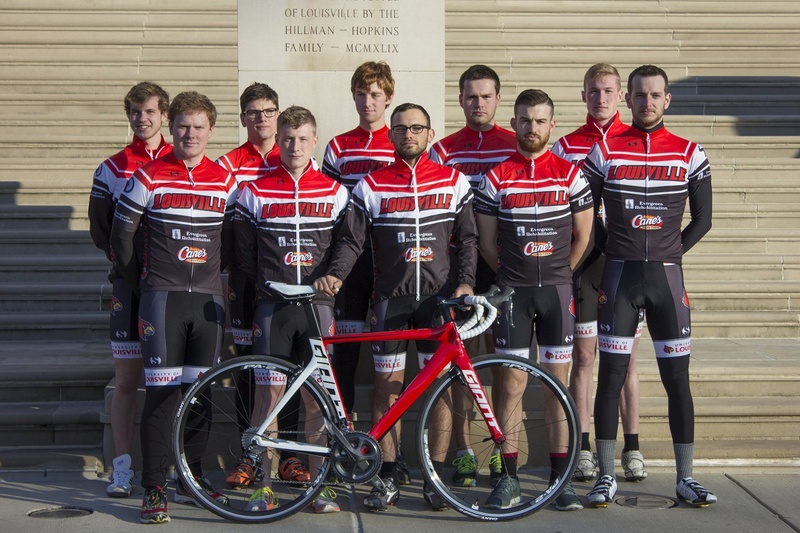 Louisville, Ky– The University of Louisville Student Cycling Coalition recently became the largest new team in the country with 17 licensed riders. As a reward for becoming the largest team, the SCC received a product sponsorship from American-based nutrition company, Bonk Breaker, an official sponsor of USA Cycling. Founded in 2005, Bonk Breaker is an American sports nutrition company that specializes in all-natural, gluten and dairy free energy and protein bars. What instigated the formation of the team? Who was behind it and what did it take to make it happen? 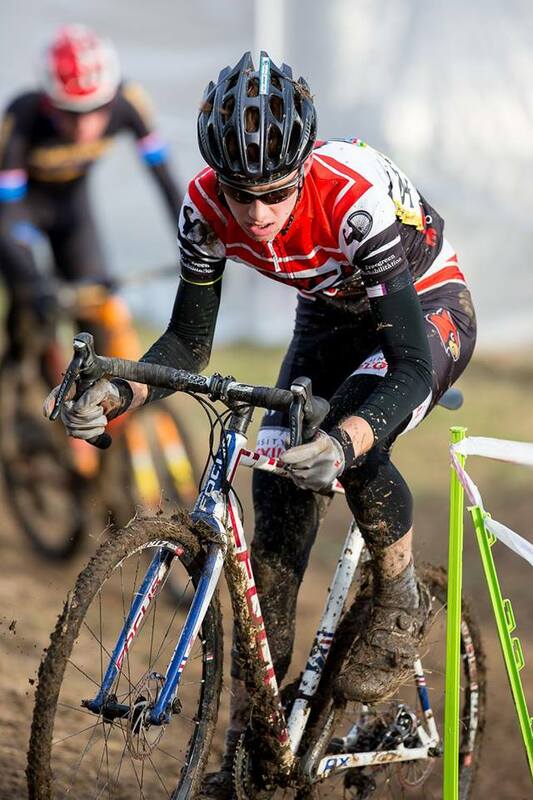 The team was formed when Josh Goodman approached me about wanting to do a cyclocross race at Purdue University in the fall of 2013. At the time, Josh was fresh off his first ever bike race– a last place finish in the Cat. 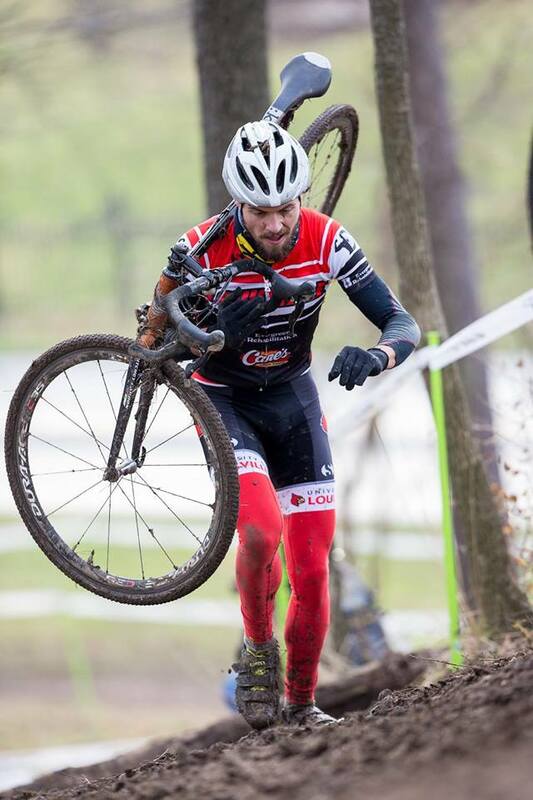 5 race at the Derby City Cup—and I had never done a bicycle race before, didn’t own a ‘cross bike, and had no clue collegiate cycling even existed. To our disappointment, we needed to be a part of a collegiate team to participate, so we were forced to sit out of that race. Sure, we had no idea what we were doing, but we went on with the USAC paperwork (super easy) and dutifully drove 2 hours to Indianapolis the next week to race in the Cat. 5 cyclocross race on one-day licenses with plain red jerseys and borrowed bikes. We inevitably crashed and got heckled, but we hopped back on the bike and haven’t looked back since! What is your membership like (Male/female, mtb/road, beginner/advanced, etc.)? Our membership is best described as “beginner” regardless of discipline. 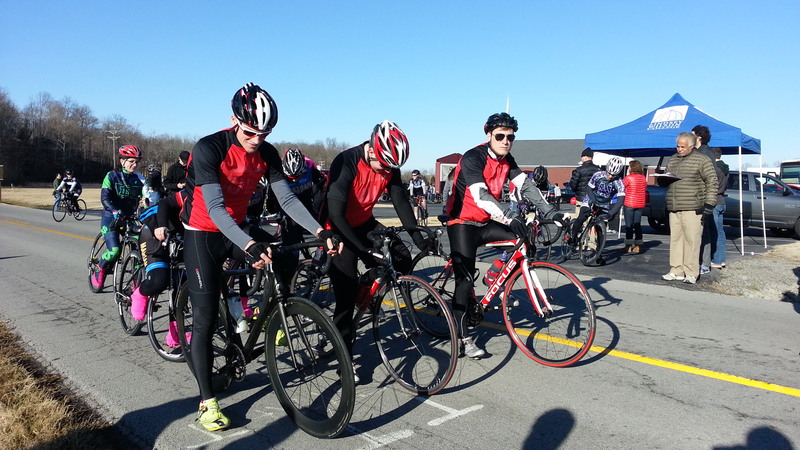 Only one rider had raced road before when we rolled up to the start line at Lindsey Wilson College’s Road Race. 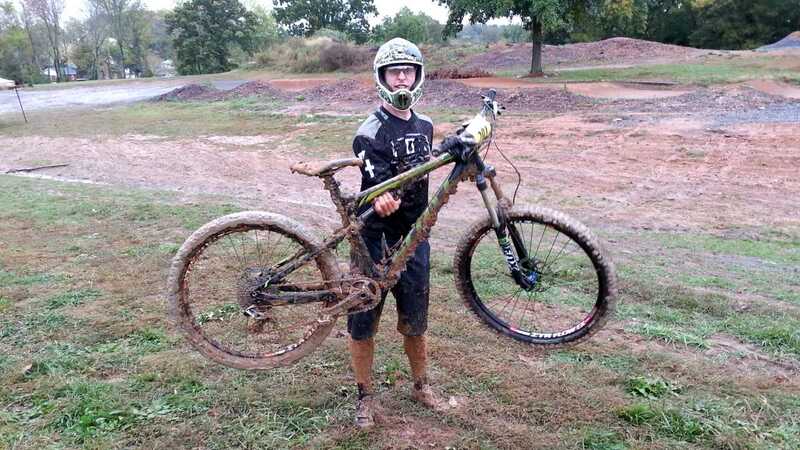 Only one rider had raced mountain bikes before when we travelled to Lindsey Wilson’s Mountain Bike Race, and all but two advanced riders are on their first full season of cyclocross. Bikes are cool, because they have brought together men and women from several areas of the university ranging from undergrad, to medical and dental students, and even engineering PhD’s! What advice would you give to other teams for growing their membership? How did you grow the team so quickly? Recruiting is a numbers game, so the more people with bicycles your members talk to, the higher chance you have of convincing them to go on a bike ride with you. Being friendly and relaxed is key, but dropping them on the flats is a bad strategy (I learned that the hard way). We waged guerilla warfare on the broken bikes on campus, setting up a tent where bike traffic is high, and fixed bikes for free, registered them with campus police, and told people about our weekly, beginner friendly ride, #SlowRollMonday. We also looked for business sponsors because the University does not give us any financial aid. We set up as a non-profit organization, and used the funds to pay for race entry fees to sweeten up the idea of going to a race for beginners. We wrote a detailed cover letter/sponsorship packet, and set out looking for sponsors. We were chewed out by a few University of Kentucky alums/fans (bad blood runs deep here) and businesses who did not believe in cycling, but we took it in stride, made several more phone calls, and earned some desperately needed dollars for the team elsewhere. What do you see for the future of the team? How can you make this growth sustainable? In 2015, we will try a new, dual strategy for recruitment. There’s something in the water in Louisville, so there are large amounts of junior talent that we can actively recruit much like a varsity team. We learned this year it’s very difficult to convince college students to join a club to race bicycles, so the junior recruitment will grow the number of fast riders from the bottom-up. In order to get more college students involved with the club, we will start a triathlon team to compete in the USATriathlon Mid-East Collegiate Triathlon Conference. There are lots of former high school cross-country runners and swimmers, so triathlons are an excellent way to put those talented endurance athletes on bikes. The growth of the team would not have been possible without the help of multiple factors. Our sponsors Evergreen Rehabilitation, Raising Cane’s, Middletown Cycling and Fitness, Sommerville Sports, and BarryS Coaching believed in us when no one else did. 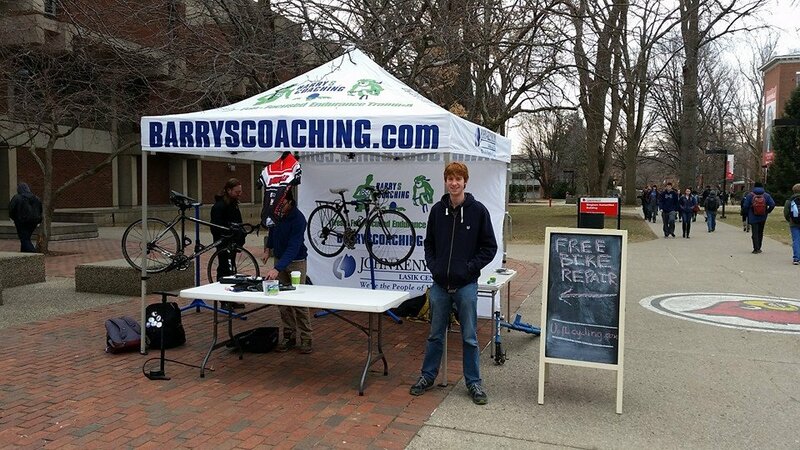 Social Media, word of mouth, and our website UofLcycling.com, were unbelievably effective in spreading the word in a low cost way. Cycling is fun, and even though starting/running a team can be stressful at times, it is an unbelievably rewarding experience. Editor’s note: since this article was written, the SCC has begun offering coaching scholarships to triathletes and cyclists with USATriathlon certified coach Barry Stokes and Red Zone Elite Cycling coach Joe Collins. VO2 Multisport has been added as a sponsor. Then-SCC Membership Coordinator Joseph Wheatley- gave a thumbs up at a recruiting fair in January 2014. Evan Kuhl, Andrew Tursic, and Erik Seibt wait for the whistle before the TTT hosted by Lindsey Wilson College on Feb. 22, 2014. This was the first time any of the three riders pictured had raced before and raced in temporary jerseys. Mark Renn was the only mountain biker that had ever raced mountain bikes before. He went on to finish as the Men’s B conference champion in the Downhill and Dual Slalom events. The uniforms of the SCC for 2014-2015.